Over the past several years, online video has taken over the digital landscape and it’s not slowing down anytime soon. Video has become a fundamental way that people consume content online and has allowed brands to form deeper connections with their audience. Users view video content as more credible, authentic, and engaging. It is expected that by 2021, 80% of all Internet traffic will be video. According to eMarketer, US digital video viewers will grow from 221.8 million to 239.2 million between 2017 and 2021. There will be nearly 1.9 billion Internet video users by 2021. Between 2017 and 2021, it is estimated that US digital video viewers will increase from 221.8 million to 239.2 million. 80% of internet users surveyed would rather tune into live video than read a blog post. Using video has the potential to better communicate your brand’s story, maximize user engagement, and boost conversion rates. 81% of businesses already use video as a marketing tool–up from 63% in 2017. Incorporating video into your brand’s content strategy is no longer an option for those who want to stay ahead. 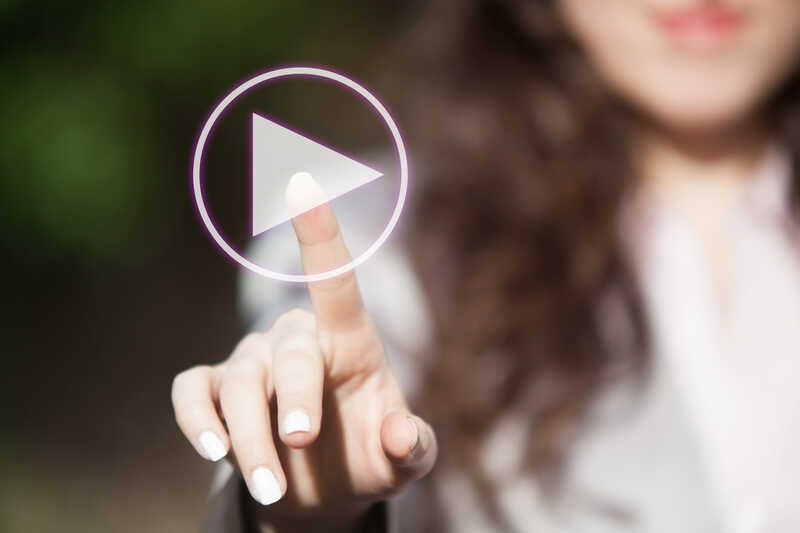 From live video to behind the scenes footage, there are immense opportunities to grow your brand and form deeper connections with your audience through video engaging content. With the growth of social video, it is important to keep in mind that some video content is better suited for certain platforms over others. You should not try to push your video out on every platform and expect it to perform well on each channel. For example, Facebook videos receive more engagement overall compared to YouTube videos; however, it takes fewer YouTube views to generate the same rate of engagement. It is important to think about the content in your video, as well as the format. 85 percent of Facebook videos are watched without the sound on, so a video without captions might not perform as well on Facebook than it would on YouTube. According to Tubular Insights, videos on YouTube average at nearly 15 minutes in length, while Facebook videos averaged just under a minute and a half. If your goal is to create short-form videos, Facebook is the best platform to use in terms of engagement. On the other hand, the longer a video is on YouTube, the more engagement it will receive. The most engaged videos on YouTube are nearly 10X longer than the most engaged videos uploaded to Facebook, so choosing the right platform for your video content is key. The average human attention span is about 8.25 seconds. Our attention spans are becoming increasingly shorter, so it’s important for marketers to grab the attention of viewers as early on as possible. According to a study by Think With Google, the most successful videos set the tone and style within the first five seconds, and the tone of your videos can affect whether your audience decides to tune in or tune out. The study revealed that videos that set a humorous tone within the first five seconds were the most successful, but the key is to consider the purpose of your video and what would resonate best with your audience. According to Cisco, live video will account for 13% of internet video traffic by 2021. 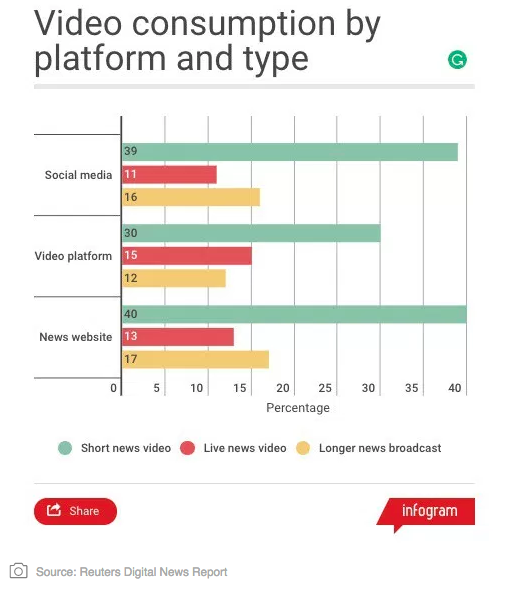 A report by Social Media Today revealed that users will watch a live video for an average of three times the length of a prerecorded video. In 2018, we will begin to see more brands opting for live video, and moving their efforts away from pre-recorded video content. 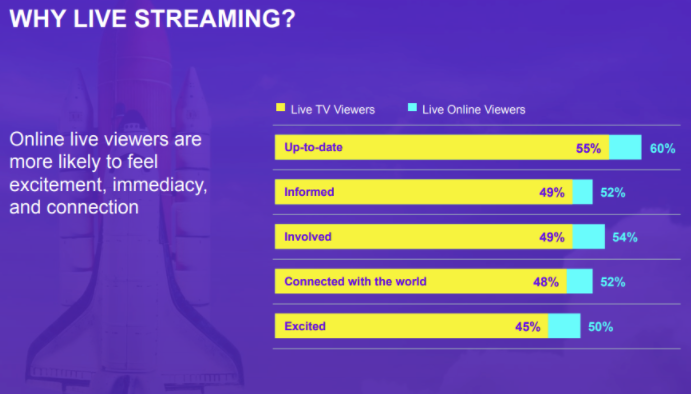 Studies also show that live stream videos generate 10X more comments, so brands that jump on this trend can expect to see higher band loyalty and engagement. Online influencers have dominated the online video landscape, and it is expected that they will continue to take center stage in 2018. Incorporating influencers into your video strategy is a surefire way to boost your content’s reach, improve brand trust, and increase engagement. 57% of consumers have made a purchase based solely on a recommendation from an online influencer, and 51% of marketers say that video content produces the best ROI when it comes to incorporating influencers into their strategies. In April 2017 alone, Tubular insights found that 8 Million influencers drove 759 Billion video views on various social media platforms. This compares to 180 Billion total monthly views for media and entertainment organizations and 24 Billion views for brands. Influencers can create video content for your brand in the form of tutorials, behind the scenes, product reviews, and more. When incorporating influencers into your video strategy, it is key to find someone who matches your brand image and fits into your niche.